Last week, Packers practice squad wide receiver Tori Gurley made headlines when he turned down an offer to join the Vikings’ active roster for the final three weeks of the regular season. 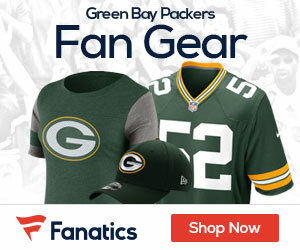 The undrafted rookie, who received a $5,000 signing bonus when he signed with the Packers in late July, would have earned $66,176 in guaranteed base salary had he moved to the Vikings’ active roster, a substantial increase over the $5,700 in non-guaranteed base salary Gurley has been earning on the practice. According to NFLPA records, the Packers are now paying Gurley at a $375,000 rate, or $22,059 per week rate, the same he’d be making with the Vikings. Earlier this season, the Packers paid quarterback Graham Harrell at a rate of $212,500 ($12,500 per week) before adding him to the 53-man roster.